As the year ends, more and more under Php 10K budget friendly Android smartphones emerge. A few months ago, Samsung Galaxy Y was the most popular cheap entry level Android phone. I think even know in a whole world scale. Then there’s also the Alcatel Android phones, My|Phone Android phones, Cherry Mobile then the newly Starmobile. But now, there’s another budget friendly Android smartphone, the CloudFone Thrill 430x. And the best part of it is that, it’s not an entry level smartphone. See more details below. The CloudFone Thrill 430x sports a nice 4.3-inch IPS capacitive touchscreen with 5-point multi-touch feature. Not to small and not to big either. It runs on Android 4.0.4 Ice Cream Sandwich and is powered by a 1.2GHz dual core Snapdradon S4 processor. 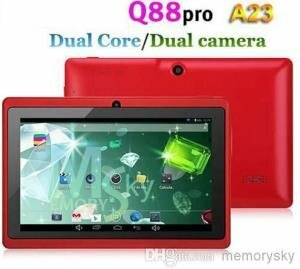 Its graphics processor is powered by an Adreno 203 GPU, so this means it can play some of the great games that the Android market has to offer. The CloudFone Thrill 430x is also built with an 8 megapixel rear facing camera with auto focus and dual LED flash. But we have yet to see sample photos and videos. It also has a VGA front facing camera for video calls. It has dual SIM card functionality so you can take advantage of both networks available in the country at the same time. Dual SIM Android phones are popular nowadays, since people can use Globe, Smart or Sun SIM at the same time. The CloudFone Thrill 430x is the first Android phone to have a huge 4,160mAh battery. What does this mean? It means that it has a longer battery life, longer than the Samsung Galaxy Note 2 has to offer. Check out the specs below for a more detailed specifications of the phone. 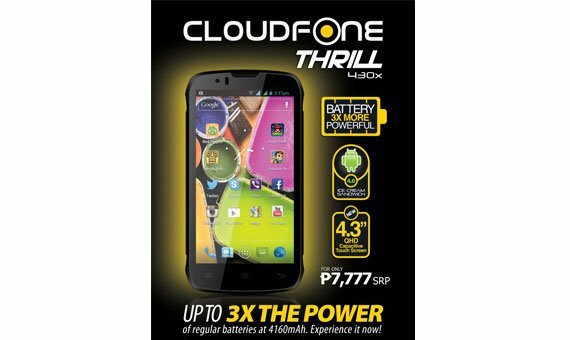 The CloudFone Thrill 430x price is currently at Php 7,777 (SRP) and it’s already available now on malls, cell phone dealers and local online stores. By the way, the CloudFone Thrill 430x is also known as innos D9, and it’s from China.